Dermatologists today use lasers and laser technology for just about any blemish you can find on your skin. 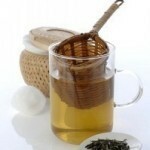 They use it to smoothen wrinkles, remove birthmarks, getting rid of unwanted hair, and aiding with acne removal. Acne laser treatments are new solutions to an age old problem. When the idea of using lasers to treat acne, the method was quite frowned at due some of its negative results. The procedure didn’t turn out as well as dermatologists hoped for. Some of those who underwent acne laser treatment underwent excessive scarring. This was pretty much the case with darker skinned patients. The scars resulted to changes in their skin pigmentation. However, with the advances in technology, the laser machines used for acne treatment have been recalibrated and adjusted. Upgrades were made in order to cope where previous machines have failed and the results are quite astounding. Doctors who perform such procedures have undergone training to hone their skills coincidental with this advancement in technology. Today, acne laser treatments do not only remedy acne, they also help get rid of the scarring. These machines also reduce the amount of sebum in patients. These are the oily substances found in skin pores. Sebum eventually causes both blackheads and pimples. The treatment takes several weeks but the initial results are almost an immediate improvement. There are different methods of acne laser treatments today. There are different calibrations used depending on a patient’s skin type. For instance, those with a darker skin tone will benefit more from using a laser treatment that combines both radio frequency and light. The light rays kill the bacteria while the radio frequency energy will cause the skin to tighten. The laser from the machine also aids in the healing process. It also provides cosmetic enhancements to the already damaged skin. This method of treatment shows more promising results than using any type of prescription. Caucasian and other patients with a lighter skin tone will be prone to pigmentation loss. Such patients will require a laser treatment method that includes a restoration of one’s skin pigmentation. This method uses a stimulation technique that allows the natural substances on one’s skin that were once stripped off to return. The type of laser treatments out there can be classified into two. These two classifications are diode laser treatments and pulsed dye laser treatment. There are more patients that have better results using diode laser treatments, although those who benefit from pulsed dye laser treatments have responded to such method quite well. Take note that each individual laser treatment targets a specific trigger that causes acne. 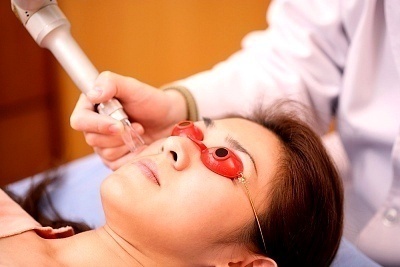 Patients still experience minor side effects from laser treatment. Laser treatments are still an emerging and evolving technology. Side effects are slight swellings and an initial redness to the skin. These usually dissipate rather quickly after treatment. 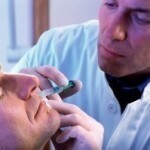 Patients are also given a topical to prevent any form of discomfort after the procedure.